Deluxe-minimalist for enthusiasts. Individualists with a love for design and looking for something special may find the exclusive object of their desires in the new Adamo XPS. Flat, elegant, chic, and still functional? We had a look. It's important not to criticise the Dell for being something that it's not supposed to be. It was designed as a high-end concept ultraportable and, on this level, it succeeds – largely thanks to the incredible design. Unfortunately, performance and battery life have been the casualties, but that may not be a problem for everyone. An engineering triumph that ranks alongside the work of Brunel, but the two and a half hour battery is shaky foundation. When Dell released the original Adamo they packaged it in a rather impressive clear case which really provided some wow factor for those who purchased it. For the latest Adamo XPS a less exciting box is used but this leaves the machine to impress the consumer and from the moment we set eyes on the system we were very impressed. 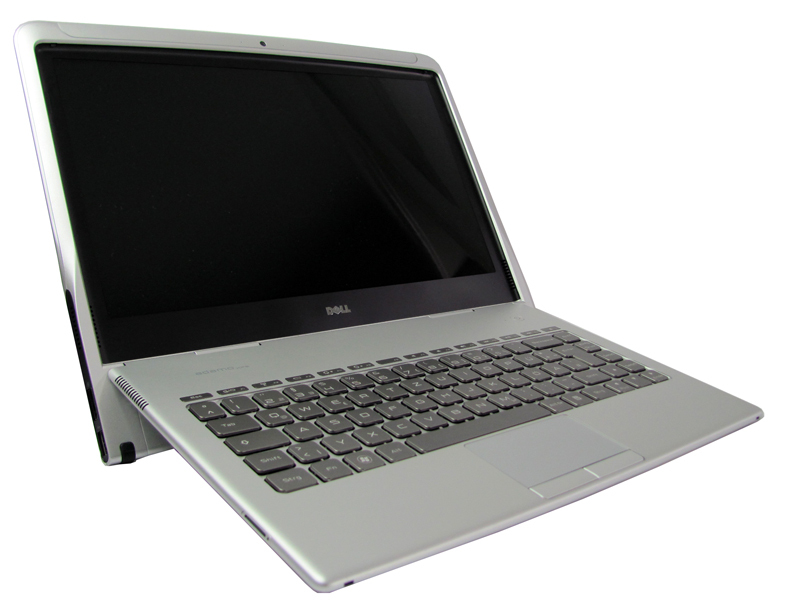 The Adamo XPS is a fantastic looking laptop which really stands out from the crowd. It seems a long time ago that Dell was known only for its highly customisable but terminally dull range of business laptops. In recent years it’s splashed out on Alienware, opened the ‘Design Studio’ and, more recently, crafted the rather beautiful premium ‘Adamo’ range. An engineering triumph that ranks alongside the work of Brunel, but the two and a half hour battery is shaky foundation. Power efficient low voltage processor based on the Penryn 3M core that features all Penryn functions like Virtualization and Trusted Execution. 81.17%: This rating should be considered to be average. This is because the proportion of notebooks which have a higher rating is approximately equal to the proportion which have a lower rating.